Fiskani (far left) is a child that my family has been sponsoring for many years. It was a joy to share Meet the Masters with him and his friends. To witness the role of Children of the Nations in raising children who transform their nation. To expose students for the first time to art history and art projects through Meet the Masters lessons and visuals. It was wonderful to see the universal appeal of art which transcends culture, language, and environment. For the first time their natural creativity was invited to flourish—and flourish it did! 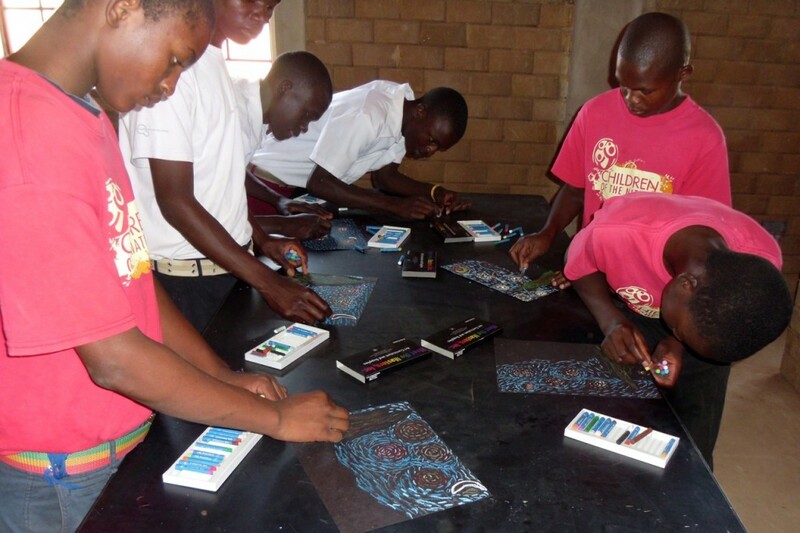 I also was able to train their teachers to continue art lessons with other MTM units featuring Paul Gauguin and Leonardo da Vinci. 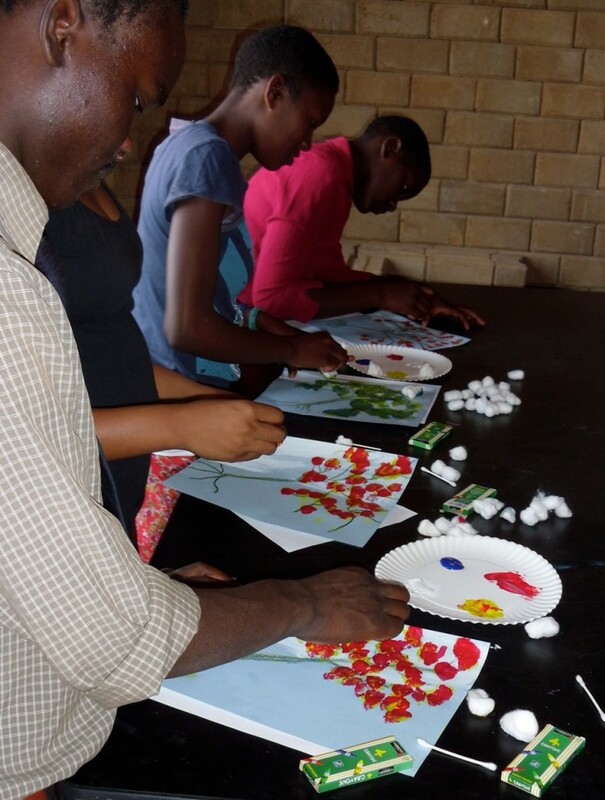 The teachers were as proud and enthusiastic as their students for the masterpieces they created! It was a trip and experience I will never forget. Please travel with me via the below photos. 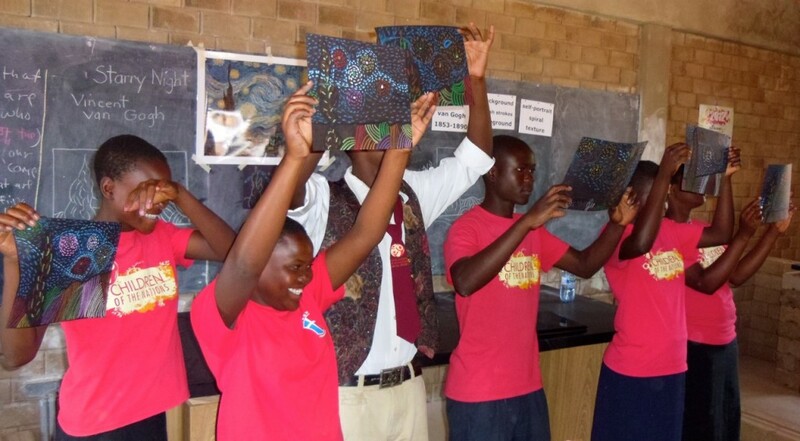 The secondary students rapt attention to their artwork was very evident from start to finish. 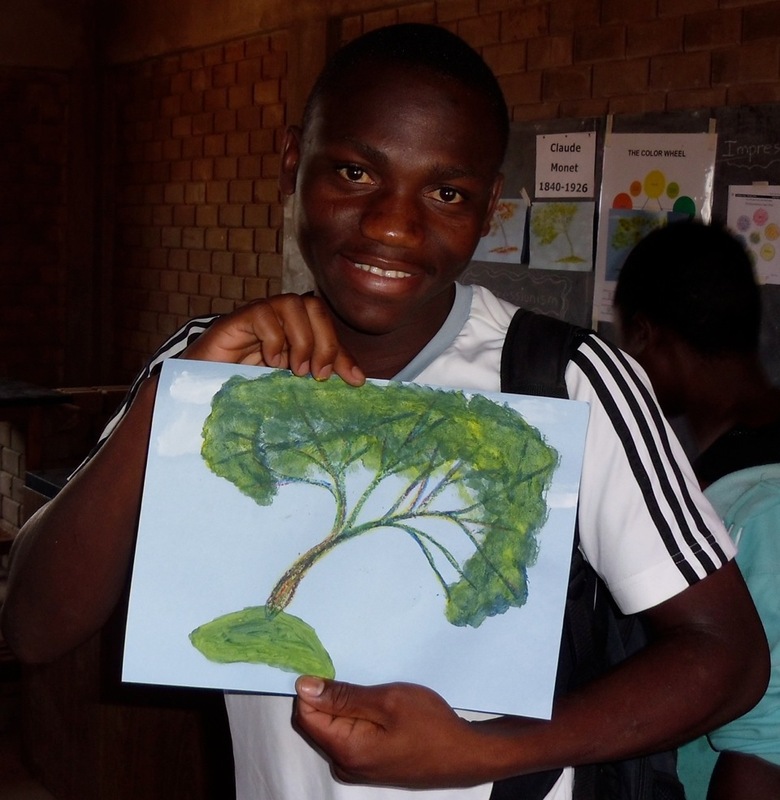 Impressionistic trees came alive in Malawi for the first time ever! A beaming student discovers his talent with his Monet masterpiece. 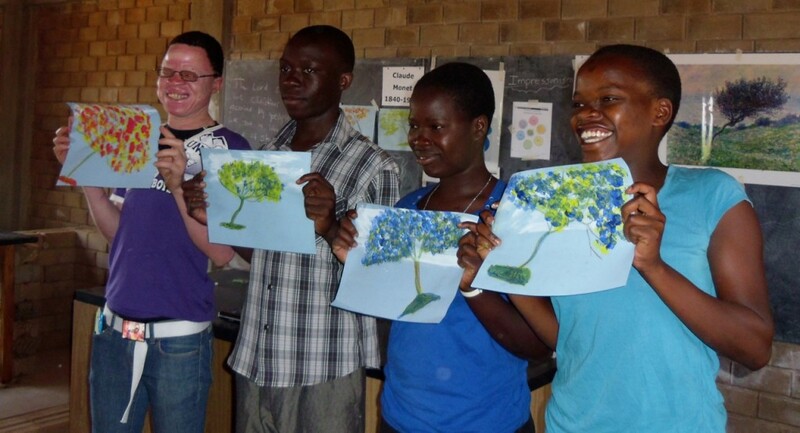 Sharing their creativity was a new and sometimes shy or proud experience for all. Their multipurpose room walls turned into an art gallery for all to enjoy. 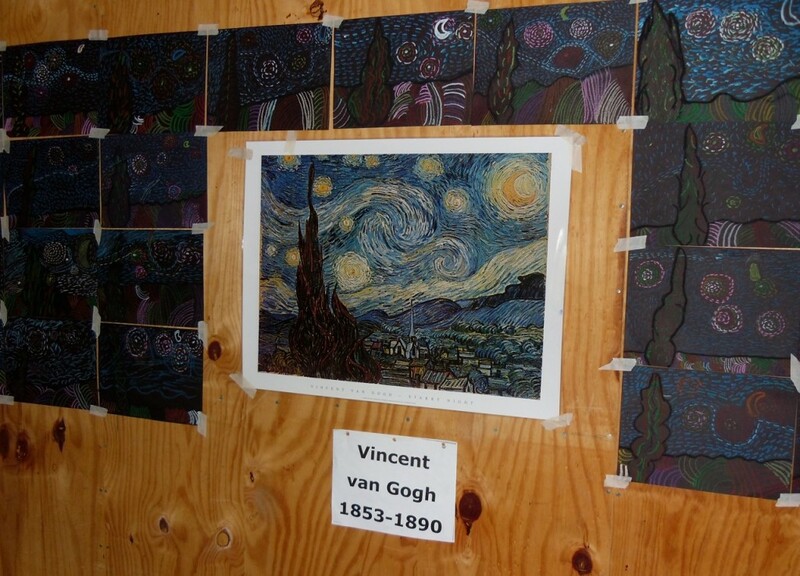 The drab plywood walls proudly displayed the student’s masterpieces.